If I didn’t have the screenshots to prove it, you’d think I was making this story up. Olympus, the camera manufacturer, is blocking their own content unless you allow third-party ad tracking from a company called Criteo. 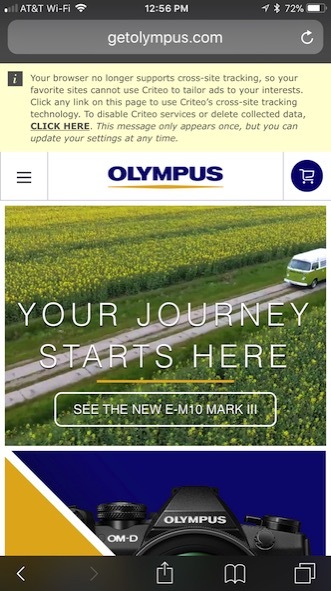 I first discovered this when I used my iPhone to getolympus.com with the intent of comparing the Olympus OM-D E-M5 Mark II to the E-M10 Mark III. Your browser no longer supports cross-site tracking, so your favorite sites cannot use Crlteo to tailor ads to your interests. Click any link on this page to use Criteo’s cross-site tracking technology. To disable Criteo services or delete collected data, Click Here. This message only appears once, but you can update your settings at any time. I had no desire to be tracked by Criteo and I was delighted my browser had stopped their attempt to follow my browsing history on the Internet. But this notification says that if I click on ANY LINK on getolympus.com, I am agreeing to allow them to track me! Thanks for choosing to enable Criteo services. If you change your mind, adjust your settings at http://info.criteo.com/control/. 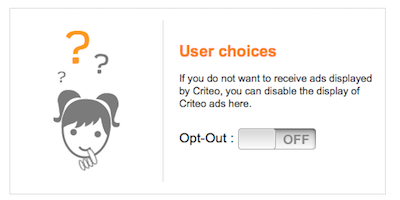 I then navigated to info.criteo.com/control and on that page I found a section entitled User Choices. There was a very clear switch labeled “Opt-Out” and it was switched to Off. Needless to say, I turned that switch on! 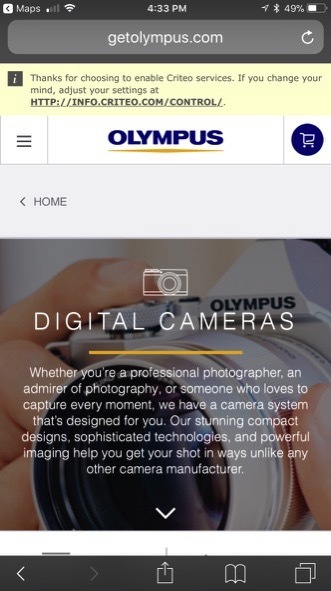 I went back to getolympus.com to make sure that I was back to the original cookie tracking warning on Olympus’s own website, and indeed it was back to complaining that I wasn’t letting them track me. I guess that’s the only good news to this story. I think it will be quite normal for people to ignore that message and click on the content they seek and suddenly be tracked on the Internet. I am absolutely appalled that Olympus would agree to this and it makes me really reconsider buying from them. I did find one good bit of news: Seeking Alpha posted an article today about how Criteo’s stock price has dropped 4.2% as a result of the changes Apple made to Safari: Criteo -4.2% as Apple changes prompt downgrade at KeyBanc – Criteo S.A. (NASDAQ:CRTO) | Seeking Alpha. 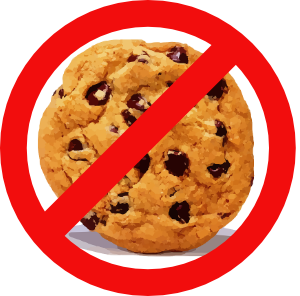 If you’d like to learn more about cookies, why they’re a good thing, and how third-party cookies are being abused, please check out this post from Security Bits by Bart Busschots: podfeet.com/…. Great article shedding light on the behavior of Criteo and some of it’s advertisers (Olympus) in this case. There is also evidence that Criteo is using dangerous supercookie technologies to track users that accidentally or willingly opt-in (and leave ITP enabled). This practice and lack of disclosure got Verizon and another Ad-Tech company in trouble with the FCC and FTC.